Stanley Druckenmiller (Trades, Portfolio), founder of Duquesne Capital Management, disclosed this week his top six buys for fourth-quarter 2018 were iShares MSCI Emerging Index Fund (EEM), Intuitive Surgical Inc. (ISRG), Illumina Inc. (ILMN), Delta Air Lines Inc. (DAL), MercadoLibre Inc. (MELI) and American Airlines Group Inc. (AAL). Warning! GuruFocus has detected 2 Warning Sign with SNA. Click here to check it out. The former partner of George Soros (Trades, Portfolio) converted his fund into a family office on Aug. 18, 2010. Managing an equity portfolio of 40 stocks, Druckenmiller seeks long-term capital appreciation through a top-down investment style, one that involves trading of long and short positions based on macroeconomic views. According to current portfolio statistics, Druckenmiller's top sectors in terms of portfolio weight are technology and health care. The guru dedicated more than half of his portfolio to technology stocks. 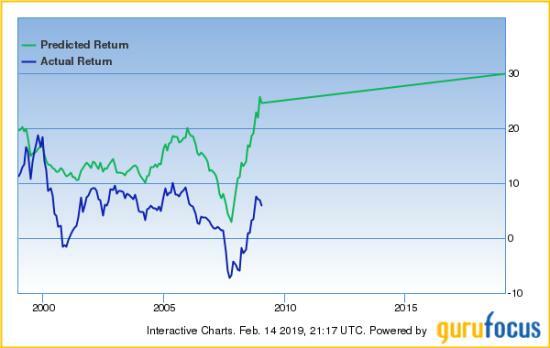 Druckenmiller invested in 1,679,700 shares of the iShares MSCI Emerging Index Fund, an exchange-traded fund that seeks to track the investment results of an index composed of large-cap and medium-cap emerging market equities. Shares of the ETF averaged $40.01 during the quarter; the guru increased his equity portfolio 3.80% with this transaction. According to MSCI Inc. (MSCI)'s website, the MSCI Emerging Markets index consists of 24 countries representing approximately 10% of the world market capitalization. Such countries include China, Russia, India and Indonesia: according to the global market valuations page, the expected annual market return for these countries range between 12.4% and 29.8%. 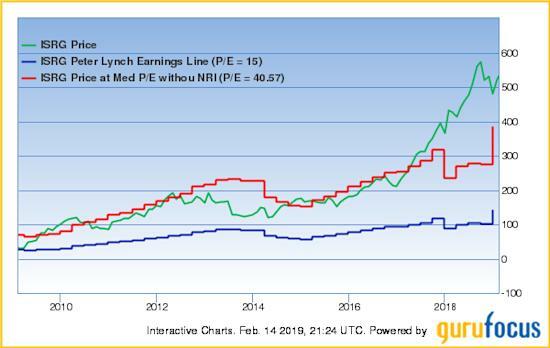 Gurus that invested in iShares Core MSCI Emerging Index Fund (IEMG), a similar fund, include Jeremy Grantham (Trades, Portfolio) and Ray Dalio (Trades, Portfolio)'s Bridgewater Associates. Druckenmiller invested in 110,300 shares of Intuitive Surgical, a manufacturer of medical instruments and supplies. Shares averaged $506.12 during the quarter; the guru dedicated 3.06% of his equity portfolio to the position. The Sunnyvale, California-based company designs and manufactures a robotic system for assisting minimally invasive surgery. GuruFocus ranks the company's financial strength 10 out of 10 on several positive signs, which include no long-term debt, a robust Altman Z-score of 33.43 and a strong Piotroski F-score of 7. 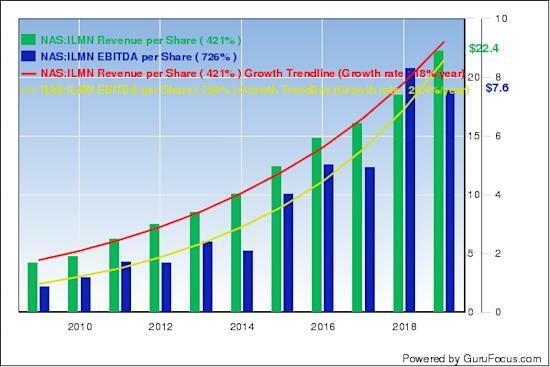 Other gurus riding Intuitive Surgical's strong profitability include Spiros Segalas (Trades, Portfolio), Mario Gabelli (Trades, Portfolio) and Ken Fisher (Trades, Portfolio). Druckenmiller invested in 139,500 shares of Illumina for an average price of $317.12, giving the holding 2.42% equity portfolio space. San Diego-based Illumina primarily engages in microarray and genome sequencing machines and disposables. 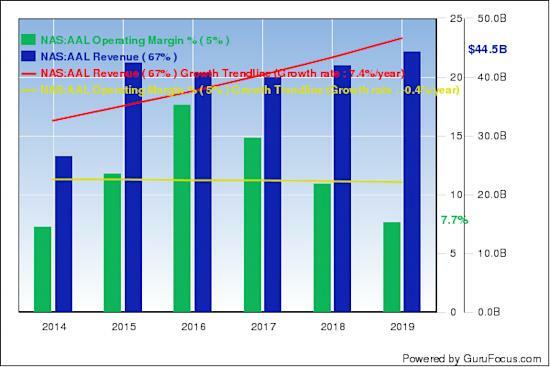 GuruFocus ranks the company's profitability 9 out of 10: Illumina's operating margin has increased approximately 4.60% over the past five years and is outperforming over 89% of global competitors. GuruFocus placed the company's five-star business predictability rank on watch as the company's EBITDA per share has declined over the trailing 12 months. Andreas Halvorsen (Trades, Portfolio) also invested in Illumina during the quarter. Druckenmiller invested in 626,600 shares of Delta for an average price of $54.38 per share, giving the position 1.81% equity portfolio weight. GuruFocus ranks the Atlanta-based airline's profitability 7 out of 10 on several positive signs, which include expanding operating margins, a dividend yield near a 10-year high and a price-sales ratio near a two-year low. Druckenmiller invested in 74,016 shares of MercadoLibre for an average price of $323.29 per share, giving the position 1.25% equity portfolio space. The Argentine e-commerce company operates a wide variety of online commerce marketplaces in various Latin American countries, while also offering payment-processing services, display and paid search advertising and online store management services. 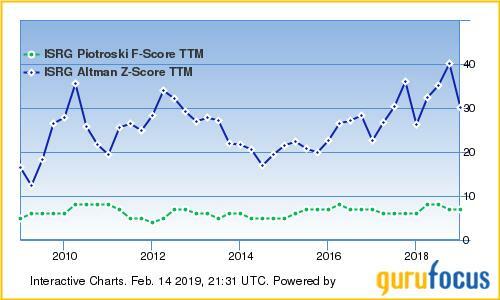 GuruFocus ranks the company's financial strength 6 out of 10: although MercadoLibre has a strong Altman Z-score of 7.21, the Piotroski F-score is a poor 3 out of 10. 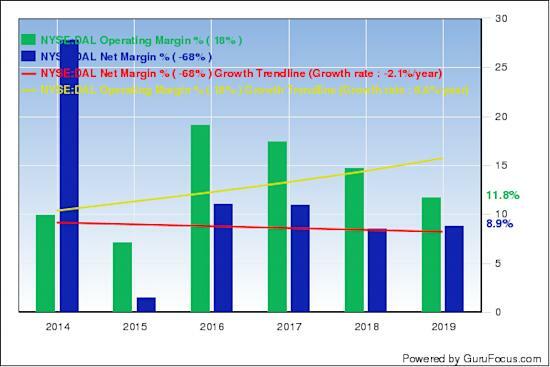 Other severe warning signs include declining profit margins and returns. Druckenmiller invested in 524,900 shares of American for an average price of $34.70 per share, giving the position 0.98% equity portfolio space. 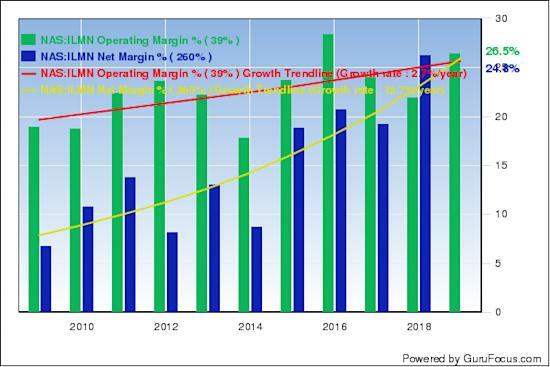 GuruFocus ranks the Dallas-based airline's profitability 6 out of 10: although American's three-year revenue growth rate is outperforming over 86% of global competitors, the airline's net margin and return on assets underperform over 60% of global airlines. This article first appeared on GuruFocus. 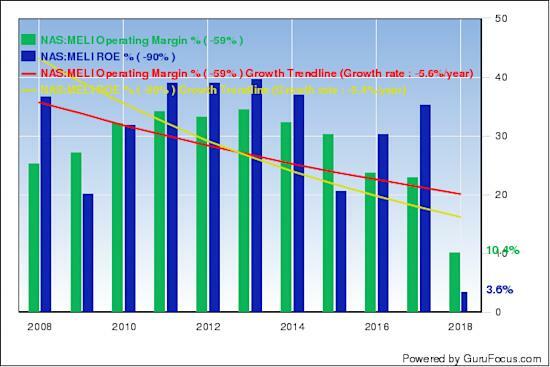 When To Sell Top Stocks: Why A V-Shaped Base Spells "Trouble"
Is Intuitive Surgical a Buy?